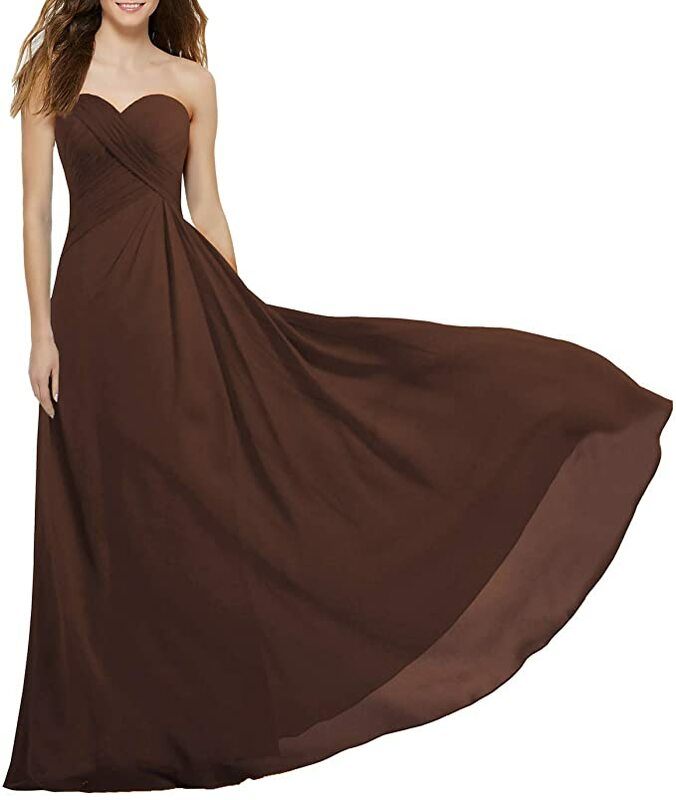 Are you considering brown bridesmaid dresses for your wedding? 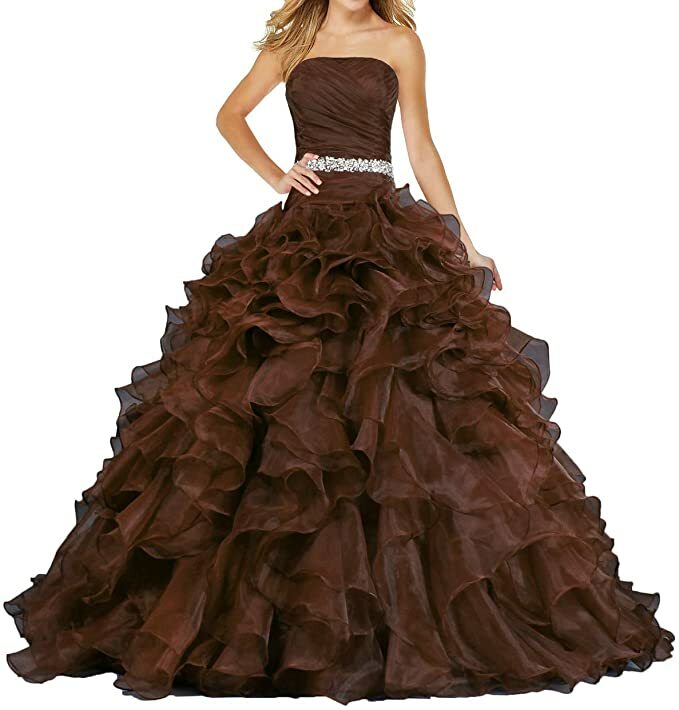 Brown is a color that most traditional brides would not choose, but one that is slowly gaining in popularity. It can be a rich color like a nice chocolate brown or it can be a neutral earth tone to plan the rest of the wedding around. You can choose brown as the main color or you might decide you want to insert another color or two and have a pair or trio of wedding colors. You might want to mix it with other neutral colors like white and cream, add other dark colors like gray or black or you might want to through caution to the wind and choose and mix more unlikely colors like chocolate brown and hot pink or have brown and turquoise as the perfect wedding combo. One of the reasons so many people choose brown as their wedding color is because of the time of the year that they are getting married. 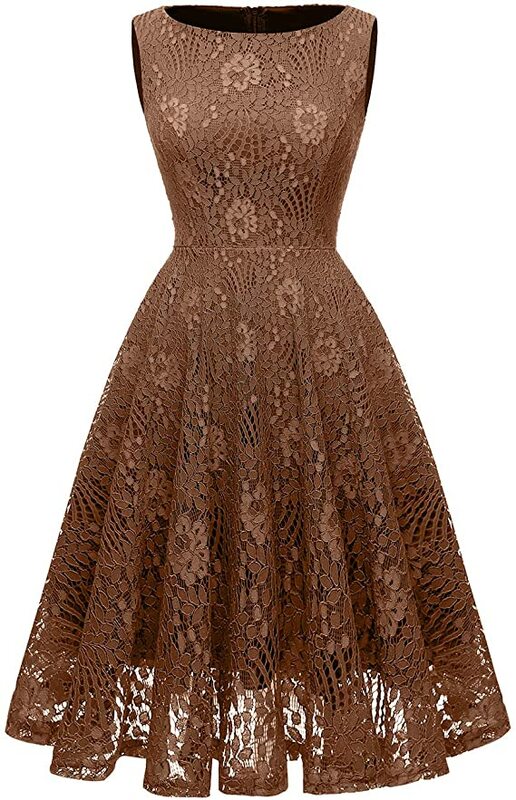 If you are planning a fall or autumn wedding or even just an autumn themed wedding you might want brown to be your main color. If you are planning around the season you may want to choose a rich dark brown. If you are adding it to other colors you could choose a nice burnt orange, a vibrant yellow or a bold red. These colors will make people think about the leaves changing, the end of the summer and all the things the fall has to offer. You can think about how you can add these colors to all of your wedding, not just your bridesmaid dresses. 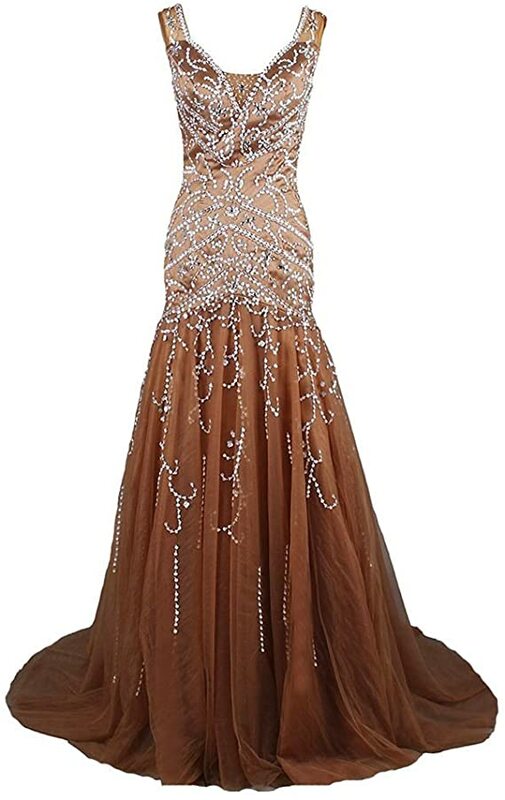 The dresses would be a good start, picking the shade of brown you want and then you can go from there. You can choose a dress with accents or even an accessory like a belt of a second color or the dress can just be one shade of brown and you can bring other colors in with the bridesmaid bouquets. The possibilities are endless. The best way to start is to pick the perfect bridesmaid dress first and get some swatches of the shade of the dress. Once you know what your girls will be wearing it will be much easier to choose accessories and accents and flowers around the color chosen! 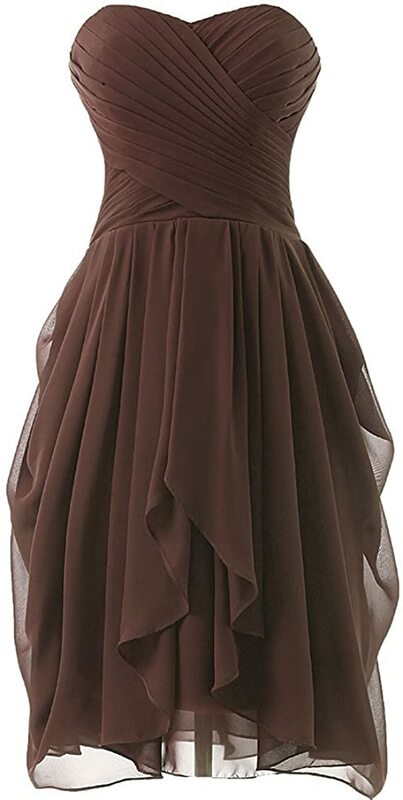 Brown Bridesmaid Dresses - How Do You Envision Your Wedding? What if you are not having a fall wedding? There is no rule that they only time you can have brown as your wedding color or your bridesmaid dress is when you marry in the fall! If you love the idea of neutral colors, or a dark but bold color scheme, I say go for it. Remember it is your wedding, and your vision! Trying to decide what color and style the dresses should be – start by thinking of the wedding you want. Think about what you want your ceremony and reception to look like. What kind of wedding flowers will you have? What about the decorations at the ceremony? Do you have something specific in mind? Flowers are a good way to start this process. Some brides know exactly what type of flowers they want down to the colors, the sizes of the bouquets and the individual flowers which will be in each bouquet, centerpiece and decoration. If this is you, this is where you start. Think about the flowers and then think about how different styles of dresses and different shades would go with the floral decisions you have already made in your mind. Narrow down your choices of the dresses based on the things you already know you want. Now that you have spend some time thinking about different aspects of the wedding and how the bridesmaid dresses will fit in, do you know what you want yet? Have you at least narrowed down the choices a bit? I hope so – but if not, let's consider the bridesmaids themselves. As the bride it is totally within your right to dictate what the bridesmaids will be wearing, however, if you are unsure or if you do not mind a little input there is nothing wrong with opening this up for discussion. 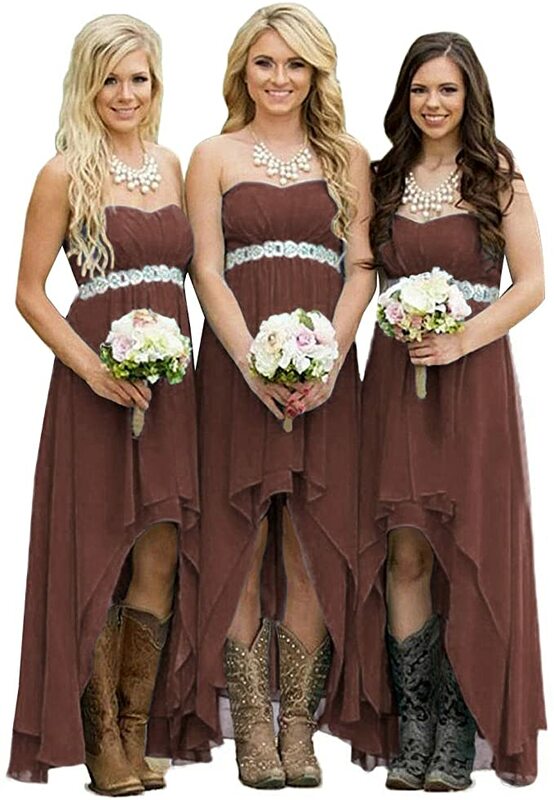 Let your bridesmaids know that you want them to wear brown bridesmaid dresses and see what they think. Do they have a preference in the color or style. If you do not want that much input, narrow it down to a few choices and ask them which they like best. You can always tell them upfront that you might not agree with their choices and you could go a different way but you are interested in what they have to say. Use this discussion, or discussion with anyone else for that matter – your intended spouse, mother, friends, co-workers, strangers on the internet, whoever – to help you make your final decision. Use the photos on this page – you can click on the photos to learn more about the dresses you actually would consider using. Finally you should consider the different styles and choices available and what would work best for your wedding party. Again, this would be determined by the type of wedding you envision as well as the bridesmaids themselves. All your bridesmaids are different. They probably have different hair colors, skin tones and body types. You will want to choose a dress that they all feel comfortable in and that looks good on them. 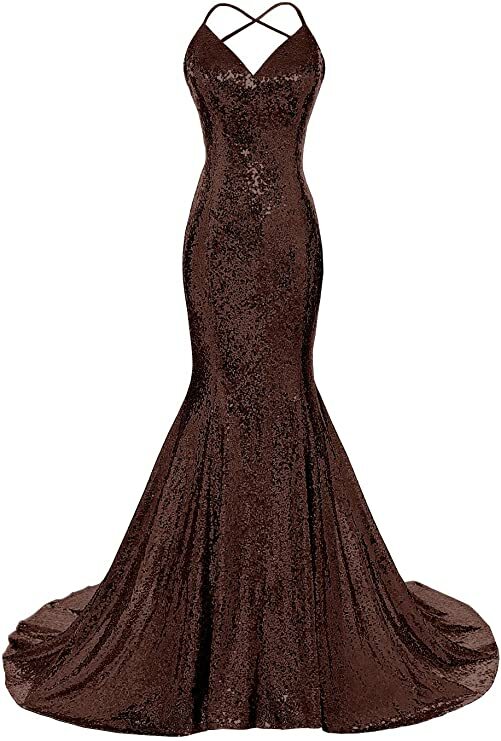 You have many choices in not only shade of the color brown, but also the length of the dress, how loose or tight it is, where the waistline is, how much of their legs, back, shoulders, arms and neck is shown. You might opt for a traditional floor length gown, but you might like the idea of asymmetrical dresses or shorter dresses for your wedding. You will probably choose to have all the same color and same style, but that is in no way mandatory. You can choose to have different shades for different members of your party or even the same shade but different styles. It is all up to you! 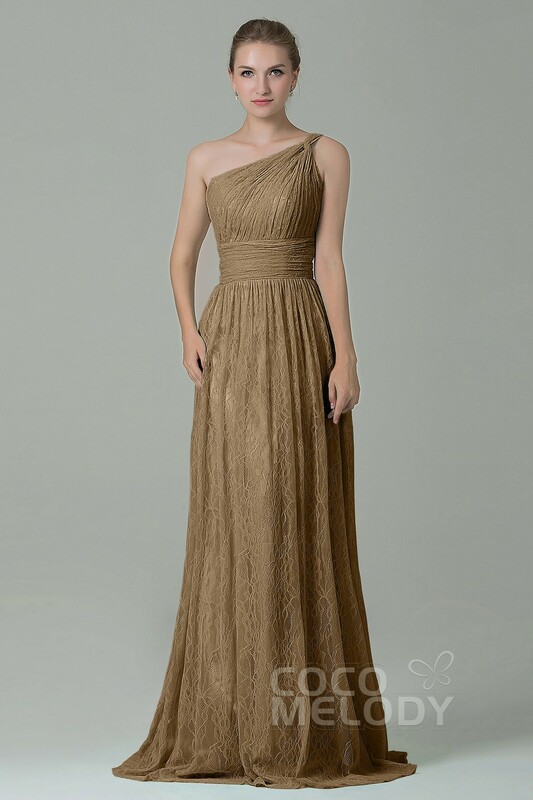 I know I have given you a lot to think about – I hope it helps you in finding the perfect brown bridesmaid dresses for your wedding!